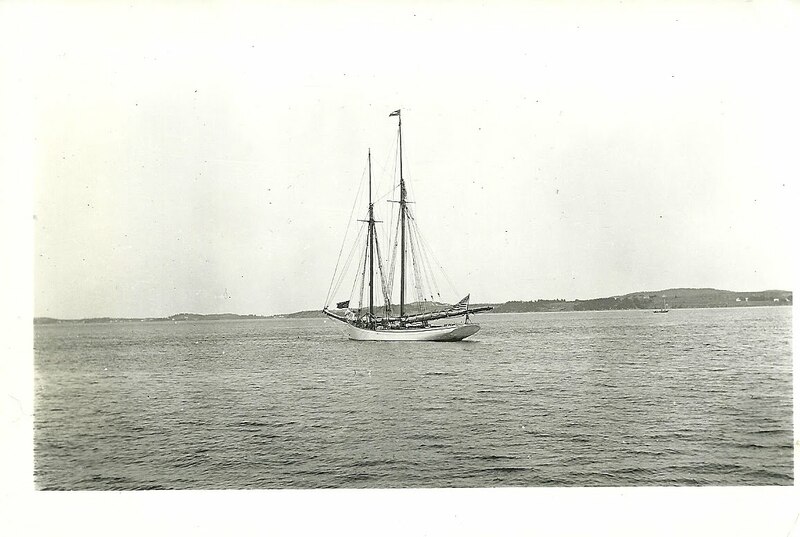 Heirlooms Reunited: 1940s-1950s photograph of the vessel "Grampus"
Undated photo from the 1940s or 1950s of a vessel identified on reverse as the "Grampus". The photo was found with a group of photos from the Passamaquoddy Bay area of Maine and New Brunswick. The photo was taken on Kodak Velox paper and had two numbers written on back: 902 and 999. I found an online reference to Kodak paper types, advising that Velox was used during the 1940s and 1950s. Perhaps this is the "Schooner Grampus" that was used on many oceanic research expeditions. Henry Bryant Bigelow, founding director of the Woods Hole Oceanographic Institution, sailed on the "Grampus" from 1912 to 1916. If you have any insights into the identity of the "Grampus" in this photo, please let me know.